By tracking your equipment, you can work smarter and achieve peak performance, maximizing uptime and efficiency. Invite your dealer to view relevant tracking data for fast, transparent communication. 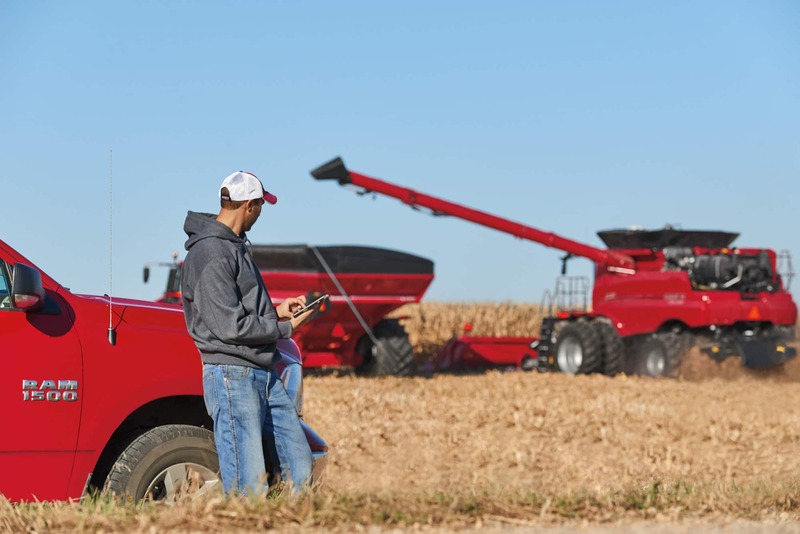 Using Advanced Farming Systems (AFS) Connect, log in and view your fleet from anywhere. Remotely monitor your fleet’s activity to view and coordinate equipment performance, enabling you to make quicker, more-precise operational decisions based on equipment parameters, status and location. Monitor equipment and logistics to achieve peak performance. This includes machine status, engine hours, idle time, acres per hour and fuel levels. Proactively plan and manage routine service requirements on connected vehicles to reduce downtime. This includes monitoring fuel level, Diesel Exhaust Fluid level and service intervals. Quickly provide information to off-site farm managers, owners and selected dealers, with built-in notifications for fault codes. This allows those parties to better support your operation. Configure alerts straight to your mobile phone to notify you when parameters like speed, temperatures, fuel levels or fluid levels are less than, equal to or greater than limits that you specify. Prioritize faults by severity level, and efficiently take action with notifications sent to appropriate contacts. Work with your local Case IH dealer to remotely diagnose maintenance and service issues and get the parts you need to stay up and running. Machine software updates are automatically sent to your display. Additional remote capabilities are available with the AFS Connect Magnum™ series tractor.